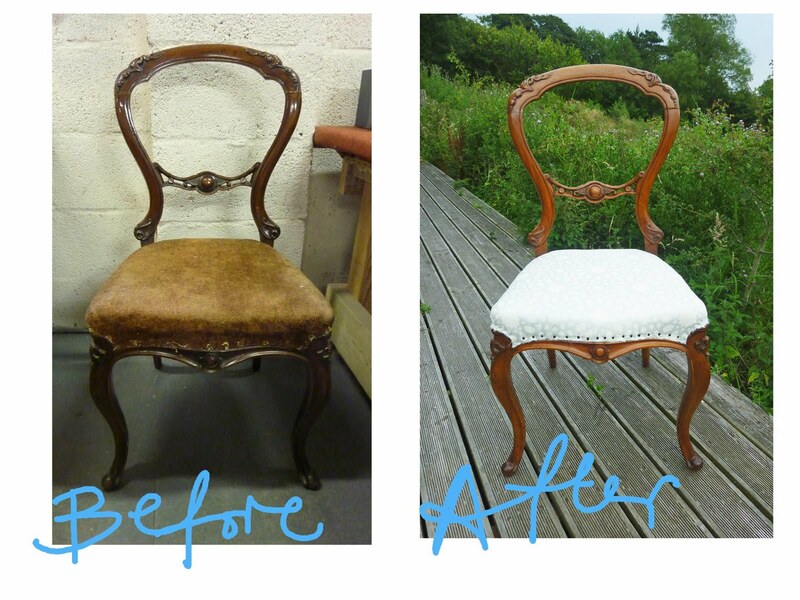 Victorian Balloon Back chair with traditionally upholstered stitched and stuffed seat. The next piece on my course was a bit more challenging, a stitched and stuffed seat. Because the seat is part of the chair (unlike the drop-in seat which was separate) I had to treat the wood first. See the step-by step pictures in my album on facebook. The wood underneath the old thick Marmite-like layer of varnish was beautiful and came up a treat when stripped and re-polished with several layers of shellac and wax. I used a cream and silver woven fabric for the top cover, which is tres glam! I just need to find an equally glam trim to cover the tacks now.